The first outing of the year for many owners of special cars. Attended by around 300 gleaming vehicles from vintage to classic, ordinary to exotic, this event is a day out for motoring enthusiasts, petrol-heads and families. The day begins at 10.00 with road-run from Crathes to Torphins and then back via Inchmarlo. The rest of the day is a leisurely event with music, good food and a display of all the vehicles. 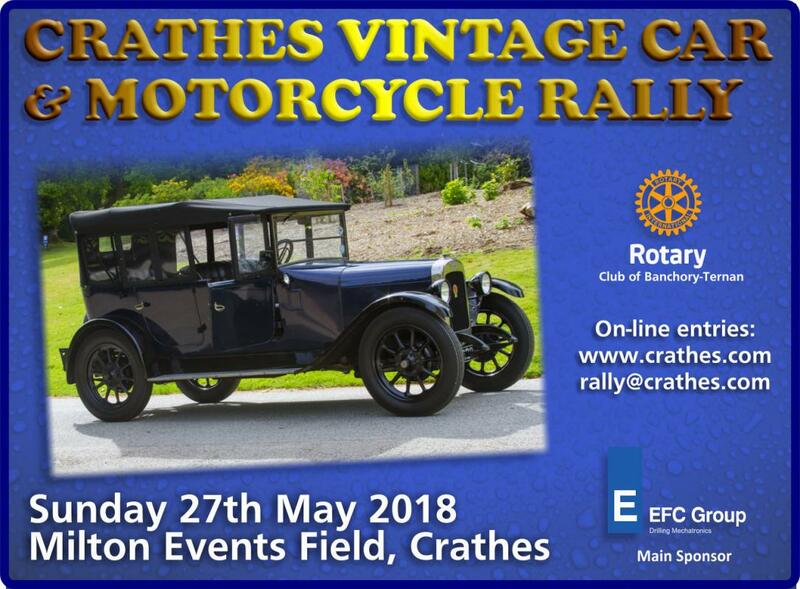 There are plenty of things to keep the whole family happy with bouncy castle, children's rides, trade stands, the nearby Deeside Railway, Milton of Crathes craft village, The Milton Restaurant and the grounds of Crathes Castle all within easy walking distance. At around 3.30pm the results of the expert panel of judges are announced and there are trophies for the lucky winners. After the prize-giving, the winning entries are invited to drive up to the front of Crathes Castle where there is a photo-opportunity. As in past years, we are raising funds for local charities. Classes for which Trophies (winner & runner-up) will be awarded. Vehicles under 5yrs old will not be judged. Late entries (not in programme) will also not be judged.